Marshalling historical materials to make a descriptive argument in social theory, this wide-ranging book compares the liberal revolution in France to the liberal revolutions in England and America and argues that the causes and outcomes of these upheavals were decisive in shaping later patterns of politics. "Conflict is the stuff of politics," writes Anne Sa'adah, and liberal politics, because of its emphasis on the individual and its legitimation of self-interest, complicates the task of creating political community in a particularly interesting way. In England and America, the tension between conflict and community was resolved in a manner consistent with political stability. In France, the tension produced an instability that has surfaced periodically throughout subsequent French history. Why this is so is the subject of a work that treats the making of the modern political world in an unusually systematic way. In France, England, and America, the relationship of the state to society under the prerevolutionary regime limited revolutionary options. 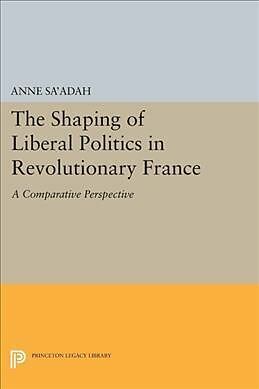 Sa'adah focuses on how this relationship created a politics of exclusion in France, while allowing a politics of transaction in England and America.